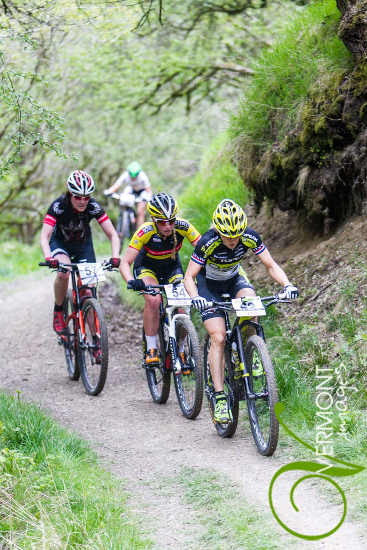 Trying to squeeze XCO races in our hectic schedule isn’t always easy; the last one – a Midlands XC – was just over a year ago. This year I disappointingly missed the entry deadline for Sherwood Pines and was ill at the time of Newnham, but round 3 of the British XC Race series at Fforest Fields in Builth Wells, Wales, was perfect timing for a good, hard interval session; just what was needed at this point in my training. An exciting mix of fast women on the start list meant I’d definitely get the interval session I was looking for! Sadly, Annie Last was ill and unable to start – a real shame because I’ve never had the opportunity to race with her. Nevertheless, top British riders Kerry MacPhee and Alice Barnes as well as South African star Mariske Strauss, amongst others, were there to provide a good battle. As well as hard training, I wanted to have some fun, so I decided to use my Canyon Lux full suspension with Reverb dropper seatpost. Although it isn’t as ultra light as my Grand Canyon hard tail, it would definitely be more fun on the descents. Also, being a little bit cautious about any abdomen and groin impacts after my surgery, the Reverb was a good choice for me. 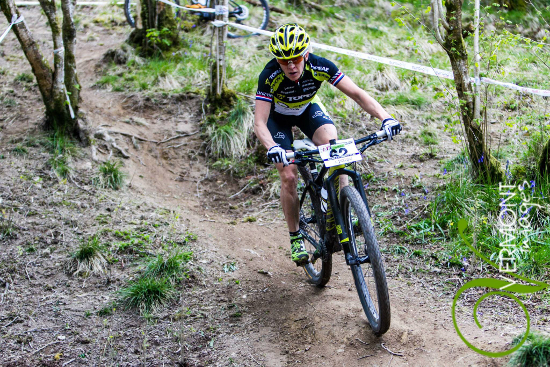 Gridded on the second row meant I needed to get into the first climb in a good position; 8th wasn’t bad and allowed me to move up to 4th before the first descent. Entering the second lap, I was able to move to the front, closely followed by Alice and Kerry. The Lux actually turned out to be a good choice – and, in hindsight, probably better than the hard tail – being super fast as well as fun! Initially, to be totally honest, the race wasn’t really about winning, the aim: good, fast training and fun on the descents; but when the gap between Kerry and I started to grow, I naturally embraced the opportunity for a win! 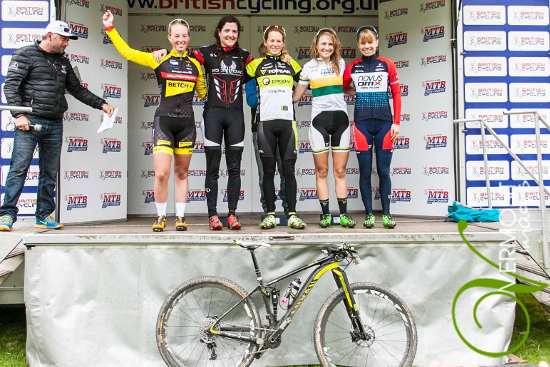 Racing in the UK is great; seeing all the people who I know from the beginning of my MTB career, plus all of the new faces and rising stars such as Isla Short and Lucy Grant is very motivational. The support I receive is awesome and I can’t thank each and every one of you enough. Big thanks to the women who cleared the way for me out on the course, shouting their support when I came through – especially the lovely lady who told me she’d placed her bets on me for the win… that made me smile and gave me a few extra watts! Nutrition wise, throughout the race I had 800ml of TORQ energy mixed at 6% (48g of carbohydrates) and 3 TORQ gels (90g of carbohydrates), giving me a total of 138g for the 1.5 race, which is the equivalent of 92g per hour. This is the target I always try to achieve. Thanks also to Ben Thomas for shivering in the tech zone while handing me bottles and donning shorts in the blustery, cold Welsh weather 😉 Massive thanks to John @Vermont Images for the photos!